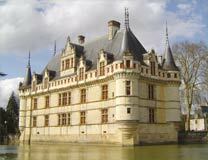 Full- or half-day semi-guided tours depart from the main city of Tours and from the smaller town of Amboise with pick-up service (by reservation only) at the local tourist office. If you are coming from Paris, several daily high-speed TGV trains can take you from the Montparnasse train station to the city of Tours in just 56 minutes. You can also take a local regional train from the Gare d’Austerlitz to Amboise or Tours. ACCO-DISPO organizes semi-guided tours for small and medium-sized groups (2 to 8 people) in full-comfort air-conditioned minivans with sound systems. 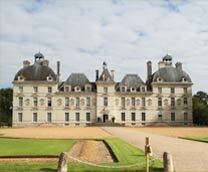 You will discover the Loire Valley in an intimate, yet social and lighthearted way. and French in the vehicle. For a number of other languages, information is also provided by way of CDs and audio guides. ACCO-DISPO drivers take a great deal of pride in being punctual and reliable, but are also hospitable and friendly. Please contact us if you need help planning your trip. The first reservation of two-people minimum can choose the tour itinerary.